Our smartphones, tablets and gadgets form a central part of our lives and are essential when doing business. Loss, theft or damage to your mobile devices can easily happen and business doesn’t stop when it does. Loss, theft or damage to your mobile devices can easily happen and business doesn’t stop when it does. Vivio are here to keep you connected. 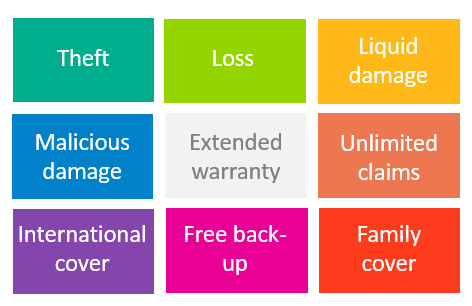 We provide a comprehensive range of gadget and mobile insurance that takes the stress away, meaning that your people will always have the tools they need in order to do their jobs well, wherever they are. We provide a range of solutions to fit any individual or business requirement from as little as £3.99 per month, per user.